Do you already have a million nail art designs in your head you can use them for? 🙂 We certainly do! To apply them, use the nail glue to put them on and add some clear top coat or gel around the base to secure them into place! Have fun! 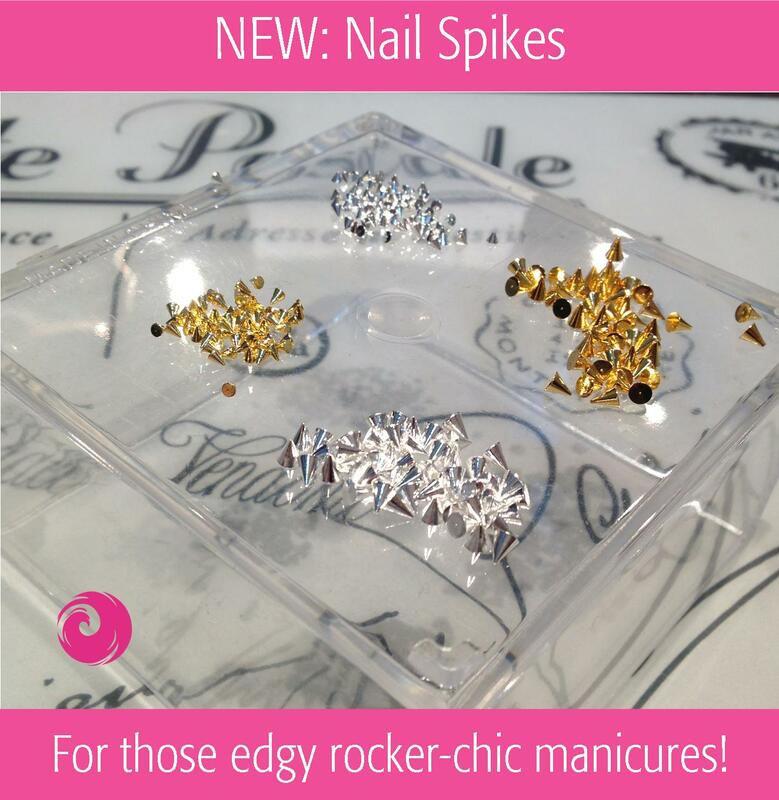 This entry was posted in Nail Art, New Arrivals and tagged buy nail art decorations online, buy nail art online, buy nail spikes online, nail art, nail art decorations, nail spikes, www.phoenixbeautylounge.com by phoenixbeautylounge. Bookmark the permalink.